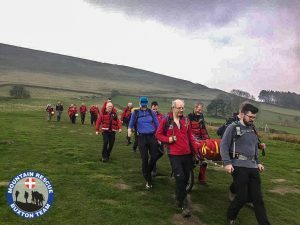 Her exact position was uncertain, but it was thought she was somewhere on the edge path near the top of Grindsbrook Clough. Team members soon located the casualty just off Grindsbrook Knoll. 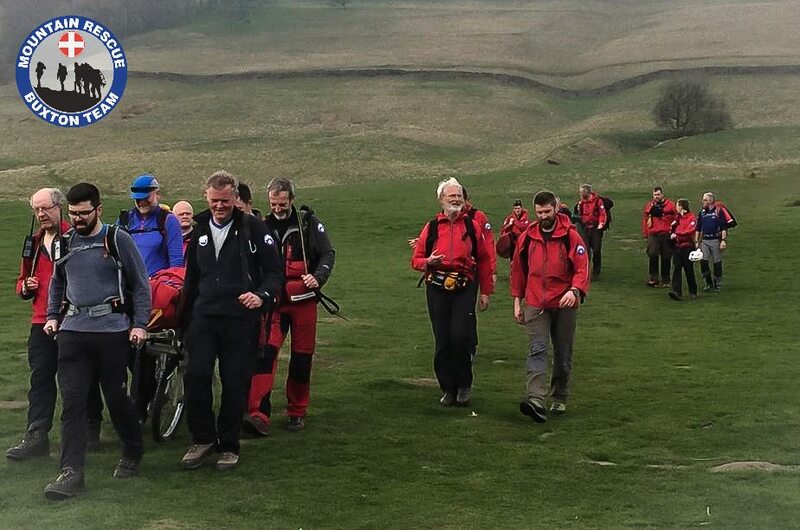 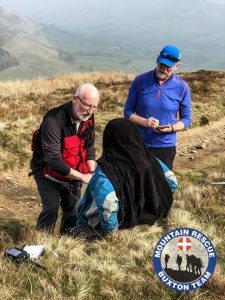 Soon after an initial assessment of her ankle, the stretcher arrived on site and the lady was transferred to the stretcher for the carry down to Edale.